The new film ‘The Guernsey Literary and Potato Peel Pie Society’ based on the bestselling book, focusses on Guernsey’s experience during WW2. Indeed the Channel Islands were the only British territories to be occupied by the Nazis and it was a tough time. Food was short, communications were limited and nobody knew what the future might hold. 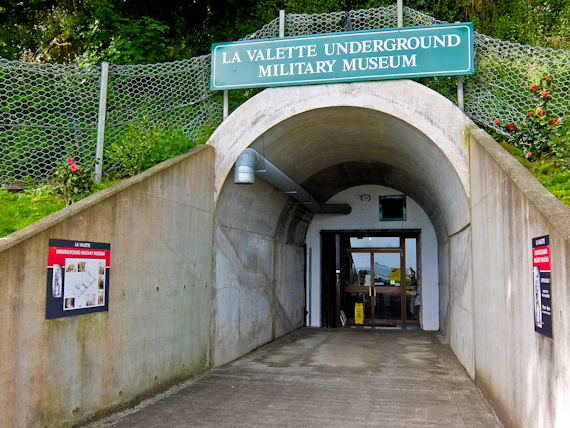 I talk to Molly Gihet in the La Valette Underground Military Museum in St Peter Port. Guernsey’s tiny capital. She was 9 when the war started and she’s written books about her experience. Her family stayed when most people got on the boats and left, as her father couldn’t bear to leave his sick grandfather behind. She tells me that, although times were hard, the Germans weren’t all bad. She was treated to occasional bowls of soup and they turned a blind eye when she pilfered potatoes for her family. In the neighbouring island of Alderney things were completely different. The entire population was ejected since the Germans were creating a fortress to defend the English Channel. Ironically many people were settled in the North of England, near Alderley Edge, bureaucrats thinking that the name might remind them of home. They were replaced with thousands of slave labourers, shipped in to build the fortifications, and worked in terrible conditions. 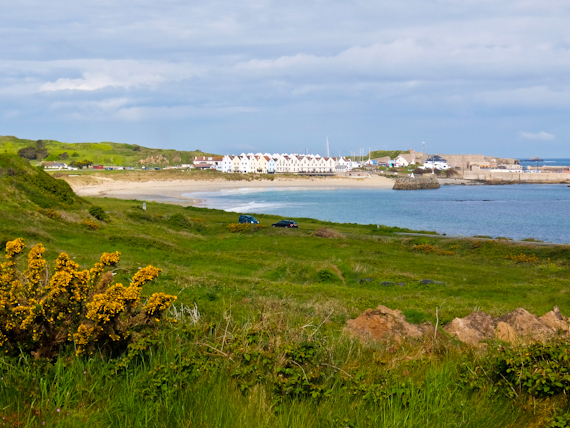 Alderney is tiny, around 4 miles long and 1.5 miles wide. Its history as a fortress dates from Roman times, but most of the fortifications were built in the 19th century to deter attacks from the French. 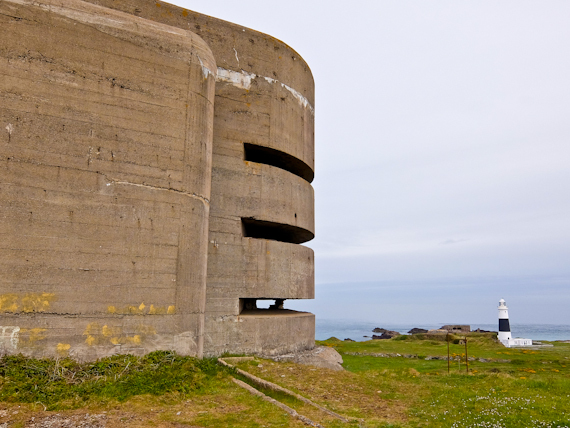 The Germans incorporated these as part of their Atlantic Wall, adding a network of bunkers and watchtowers. 70 years after the end of WW2, most of these are still intact, and they’re now officially recognised as part of the island’s cultural heritage. 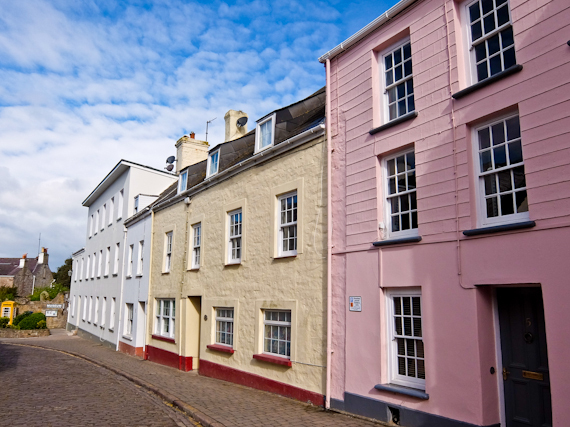 St Anne, Alderney’s diminutive capital, is really just a couple of cobbled streets, bursting with history. The island began to prosper as a refuge for privateers, government-sponsored pirates, in the early 18th century. The Le Mesurier family, from Guernsey, became heredity governors, running the place as their private fiefdom. This lasted until the end of the Napoleonic Wars when privateering was ended and smuggling suppressed, and the last Le Mesurier handed the island to the crown. There’s an excellent museum in St Anne which, as well as dealing with the early history, has many artefacts from the German occupation. 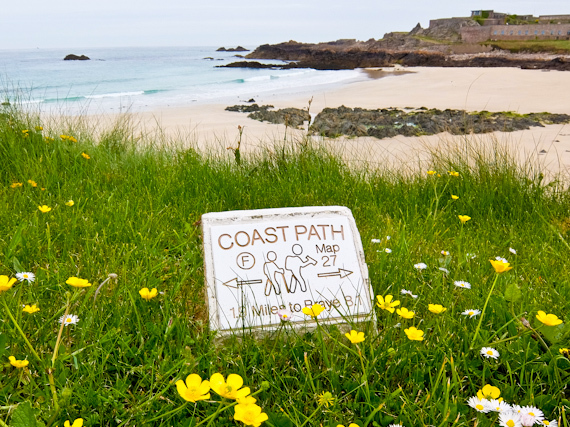 Taking the coastal path around the island is an easy day’s walk, but longer if you want to explore the fortifications. Alderney’s population has been shrinking and most live in St Anne so it’s an entirely rural exercise. 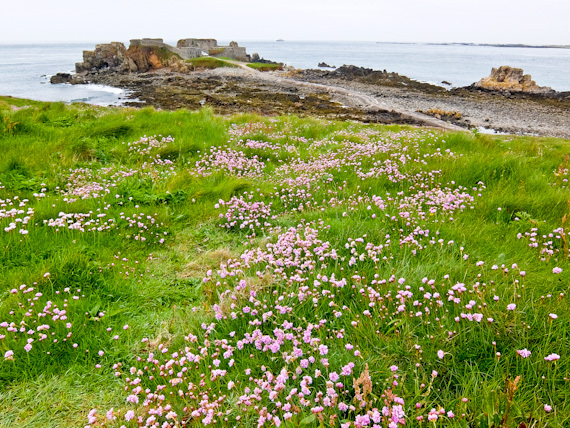 Starting at Braye Harbour, I follow my nose west and find deserted beaches and reach Fort Tourgis, the largest of the Victorian fortresses. Most of it is dangerously dilapidated but Cambridge Battery has been restored and you can see how the original Victorian fortifications were adapted by the Germans. There are plans for a self-contained luxury resort here, but locals scoff at the idea. Further on, near the airport, I pass remnants of what were the slave camps, now not much remaining. The crowning glory is the Anti-Aircraft watchtower perfectly preserved. You need to get a key from the tourist office but from the top, you get a fantastic view over the island. As you might imagine it’s surrounded by bunkers and gun emplacements, all lost in the vegetation. Of course, no attack came as Winston Churchill decided it was not worth losing lives to take something which had little military importance. 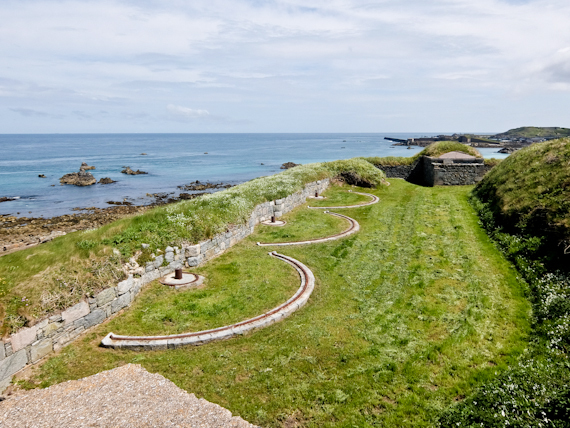 Some of the Victorian fortresses have been turned into private residences and you can stay in both Fort Corblets and Fort Clonque. Alderney is also a mecca for birders. It’s worth taking a boat out to Burhou Island, a sanctuary for 11 species of breeding birds. Puffins make their home here between March and July and this is the furthest south you’ll find them. 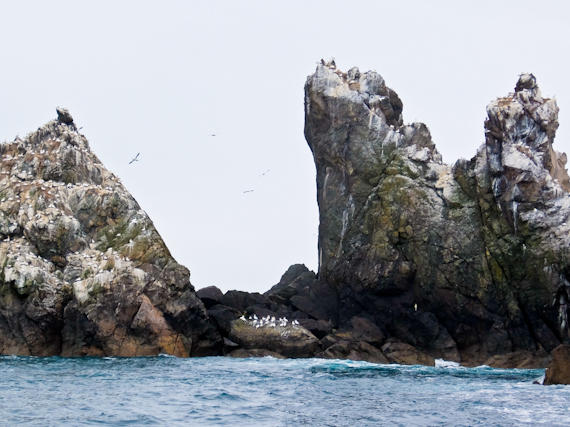 There are impressive Gannet colonies on the Les Etacs and Ortac rocks, between them, making up 2% of the world’s population. And don’t forget the basking Atlantic seals near Burhou Reef. If you really want to get away from it all, I can highly recommend Alderney. 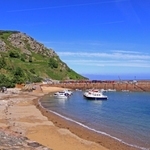 It’s not easy to get to, as the only connection is a flight from Guernsey although there are plans to restart a ferry service. 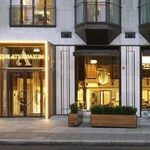 As a result, only intrepid travellers make it here and don’t expect bright lights and big city. 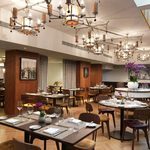 Wallow in the peace and quiet, take healthy walks and enjoy the excellent seafood. And if you start yearning for the metropolis, then vintage London Underground carriages carry visitors on an old quarry line from Braye Station to Mannez Station at the east of the island. Don’t get too excited – it only runs in the summer and just at weekends.